One of the simplest examples is that, when suffering from illness and injury, we do everything we can to minimize rest – and yet our bodies are screaming that rest is required. Our medicinal shortcuts to resume habitual modes of work and pleasure defy the body’s wisdom (in this case, the strongly felt call for rest), and often at significant peril. Recovery is actually jeopardized, and the opportunity to discover a dimension of the self is lost. 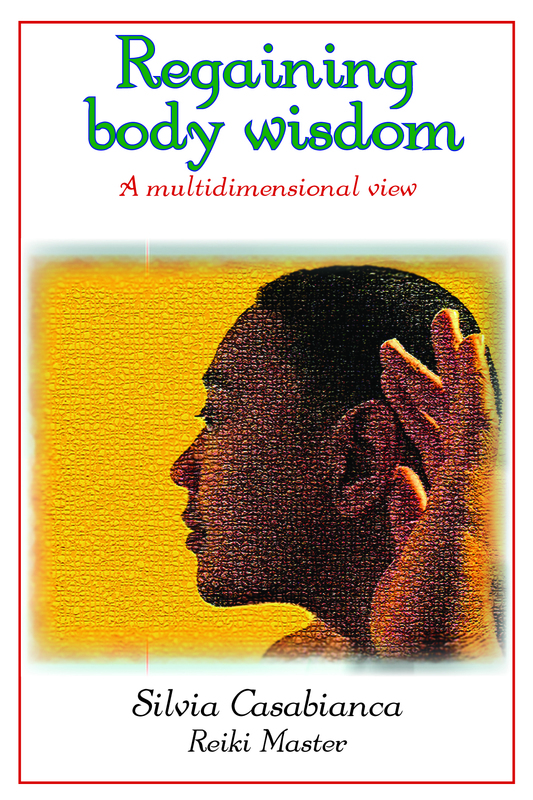 The second section of the book, “The Body Wisdom,” explores the various bodily systems (connective, circulatory, respiratory, immune, etc.) and illustrates, in lay terms, the functions of each as well as the interrelationships among them. This section of the book also elaborates the concept of the “inner healer.” For Casabianca, it is learning to hear and heed the inner healer that is the key to physical and psychic well-being. In a passage titled “The body speaks to us,” Casabianca insists not only on the need to be receptive to the body’s messages, but also to recognize that anything that affects us “affects the whole of us, even if we can only see part of the picture.” We need to enhance our receptors and learn to act on the full range of information and wisdom that is always being broadcast and to which we are not sufficiently attuned. Finally, in the third section of her book, Casabianca – a licensed Reiki Master – introduces readers to “Reiki and the Art of Healing.” Here she traces the history and precepts of a philosophy for personal growth and healing through balance. The relationship between practitioner and recipient is explored, as is the full embrace of consciousness and self-knowledge requisite for harmonious existence. Generally clear, straightforward, and nonacademic in style, “Regaining Body Wisdom” is still underpinned with scholarship and references to a wide variety of sources that Casabianca most often weaves together with sure-handedness and grace. Yes, there are passages in the book that could use one more level of stylistic revision; however, most of the material is presented with precision and – more importantly – the passion of conviction. If I would ask for one more ingredient to make this valuable book even more valuable, it would be an analytical index. Information about the author, including ordering information for this and her other books, is available through the intriguing bilingual website: silviacasabianco.com.